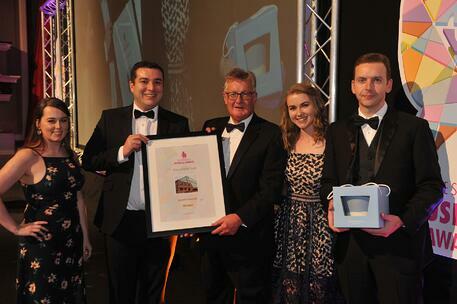 The Sentinel business Awards evening took place on Thursday 29th March at the King’s Hall, Stoke-on-Trent. The evening showcased companies’ achievements, innovation and success across all industries across Staffordshire and South Cheshire. Radwell Europe are honoured to be recognised for outstanding international sustainable growth and awarded for our approach to the customers we serve in 166 EMEA countries. With purpose-built facilities in both the UK (Staffordshire) and Germany (Krefeld) and over 50,000 customers throughout the EMEA, we pride ourselves on growing internationally and building strong relationships with customers from a range of industries. Our customer focused multilingual call centre speaks 12 languages to ensure language is no barrier when discussing products and services with customers. 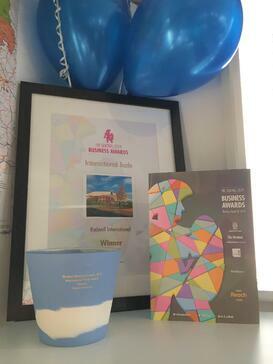 We entered the Sentinel Business Awards to recognise and showcase the hard work and achievements of our employees. We were interested in entering these awards as they were focused on celebrating the achievements of local businesses in Staffordshire, highlighting the positive contributions that companies are making to the local economy. We have been shortlisted as finalists for other business awards including the Chamber of Commerce, AEMT and FSB, which bought a huge sense of pride, boosted employee morale and renewed our commitment to achieve growth forecasts for 2019 and beyond. Award evenings also provide an excellent opportunity to network and we have many new business contacts that we hope will become customers in the future. 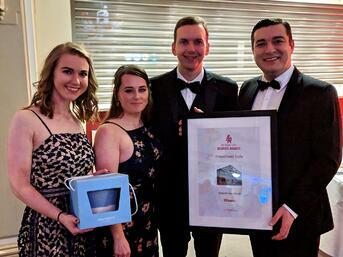 Winning this award reflects our dedicated, hard-working staff members, as well as the close relationships we have built with customers and suppliers. We value the collaboration and support from key manufacturers in the automotive industry and this ensures we can offer competitive pricing internationally and offer latest product advancements within the industry. We are confident that we will continue to research new opportunities in locations within Europe, continue to expand our exports internationally and for overseas sales to become a phenomenal 70% of our overall sales by 2020.